Would you say that you love your bank? No? Would you even say that you like your bank? Nope, we didn’t think so. But this may be about to change: a crop of new fintech (financial technology) companies is trying to make personal banking a whole lot better, and several are set to launch this year. These new ‘smart banks’ are using technology and data to make banking fit better with modern lives, with customer-friendly approaches and user-friendly designs. Just like what PensionBee is doing with pensions. So if you’re interested in dumping your dusty old bank and giving one of these new accounts a whirl, here’s what you need to know about some of the main players. Get the Atom banking app and you’ll receive a unique logo and get the chance to name your bank. You can open an account in a few taps, and then log in works by face and voice recognition (yep, you can log in by taking a selfie). Atom uses data to predict how much interest you’ll earn in months to come, and can send notifications when you need to do something. Their one year fixed savings account comes with 2% interest rate. Durham-based Atom has its full banking licence, but current and saver accounts are still only available for invited members at the moment as the features continue to go through testing. By the end of the year Atom aims to offer a comprehensive range of banking services including debit and credit cards, savings and current accounts, overdrafts and even residential mortgages through the app. 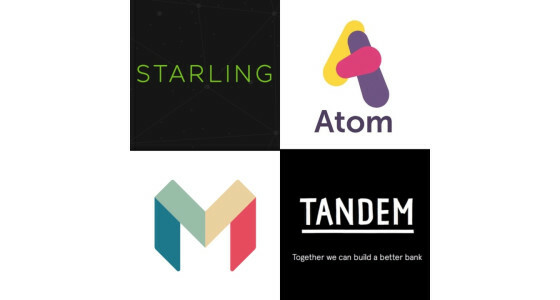 Atom was rated best challenger bank by Techworld in April, with the site praising the game-like design ‘centred around various floating balloons on the screen’ and the ‘impressive pedigree at board level’, including Metro Bank co-founder Anthony Thomson and Mark Mullen from First Direct. Your card comes with the Mondo app, which shows you your bank balance in real-time and automatically categorises your spending. While Mondo waits for its banking licence, what’s on offer is a pre-paid contactless MasterCard. You can top this up using the app and use it at cashpoints, in stores and online. Once licensed, Mondo plans to move to fully-functioning debit cards. Mondo has an eager online following and raised £1 million in just 96 seconds on crowd-funding platform Crowdcube earlier this year. Mondo was hoping to get a restricted licence in the next couple of months and its full banking licence by the end of the year, but they may have to raise at least £15 million to get licensed. Mondo’s also in the process of changing its name due to a trademark dispute. In true Mondo fashion, the company appealed for name suggestions on social media and staff are currently sifting through thousands of entries. PensionBee’s Marketing VP Jasper has a Mondo card and is pretty impressed with the experience so far. His card was blocked because he used the wrong pin, but after a two minute online chat via the Mondo app, the problem was sorted! ‘Customer service that blew me away’ was Jasper’s verdict. Once Starling is fully up and running, you’ll be able to get a Starling debit card and an accompanying app that lets you pay bills, transfer money to friends, or make international payments. Starling promises unique visualistions to help you understand how you’re spending money, and smart notifications so that you always know what’s going on with your account. You’ll be able to instantly pause your card if you lose it and unpause it again if you find it. The people behind Starling have also been demoing cool extras, like a feature that uses artificial intelligence to predict your earnings. Starling is still awaiting its banking licence, and hopes to invite people to test early versions of the service later this year. You can sign up on the website to get involved in product testing and be one of the first to get an account when Starling goes live. Courier said in a recent article that ‘Starling is rigorously built and regulatory compliant’ but it has ‘a more sober brand than its rivals’ and there’s some suggestion that it may appeal to a slightly older audience than some of the other smart banking apps on offer. Tandem’s clever ‘co-founder’ scheme means you can sign up to have a say in shaping the product and get shares in the company for free. Co-founders (of which there are now thousands) have been helping design the Tandem debit card. As for the product itself? Well Tandem’s kept its cards pretty close to its chest until now, but founder Ricky Knox has emphasised the importance of data and machine learning in banking, and said that managing your finances should feel effortless. Tandem also smashed its crowdfunding target in minutes, raising £1 million in May. It had already raised £22 million from investors, including several Silicon Valley venture capital firms. It’s got its banking licence in the bag, and is set to launch towards the end of the year. Why not take your pension into the 21st century too?